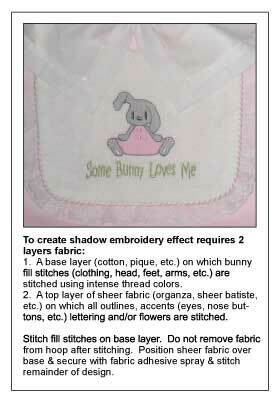 Hoppy Cottontails is the only item we have in our Machine Embroidery catagory at this time. We hope to add additional designs in the near future. 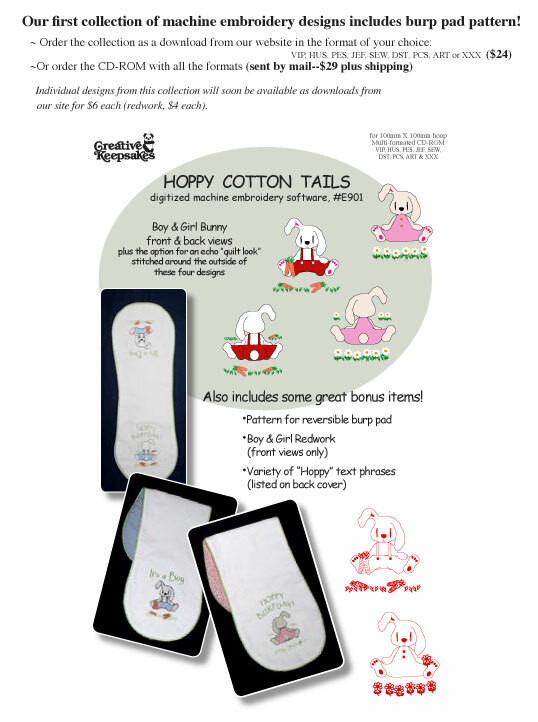 Hoppy Cottontails is available as a download for $24 or you can order the design on a CD for $29. Below you can view the front cover and the back cover (which displays many suggestions of projects you might consider creating with this embroidery design). 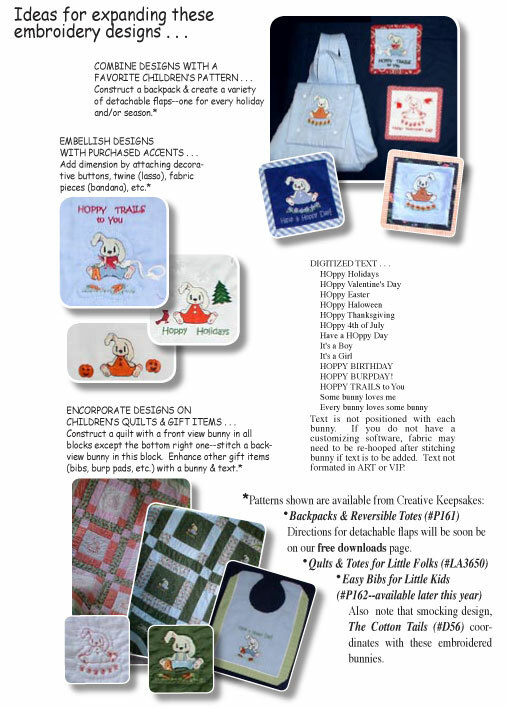 This design coordingate with our traditional smocking design, "The Cotton Tails" which can be viewed on page 5 in on the catalog pages. Directions for using the design to create a "shadow-work" effect.